In this collection we get a taste of our favorite heroes new adventures and a look into what is going on in Gotham. 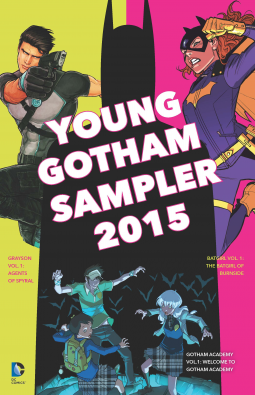 This sampler gives us a peek at three series that we will definitely want to be checking out. Grayson was my favorite of the three samples, I like the art so much more; but that's just me. Check out these upcoming titles.